Mortgage Warehouse is approved to originate VA mortgage loans. 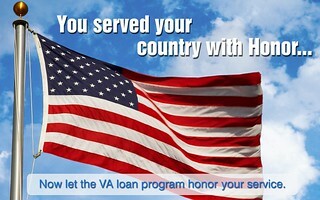 A VA loan is a mortgage loan that is insured against default by the Department of Veteran’s Affairs. VA loans can only be issued by certain qualified lenders. They are available exclusively to veterans, active duty service members, national guardsmen and reservists who have served in the military. Some surviving spouses may also qualify. Mortgage Warehouse is approved directly from Veteran’s Affairs and have online access to get instant certificates of eligibility. Posted on December 2, 2013, in Finance and tagged Bonita Springs Loan Officer, Cape Coral Loan Officer, Estero Loan Officer, Finance Me, Florida Loan Officer, Fort Myers Loan Officer, Lender, Loan, Matt Pell, Mortgage, Mortgage Warehouse, Property Guiding, Real Estate Financing, SWFL Real Estate, VA Loan. Bookmark the permalink. Leave a comment.